Have you ever gone shopping and you can’t decide which pair of shoes to buy? And since you have a credit card, you choose to buy both pairs. When making payment to the credit card company, you will feel exploited. Apart from high-interest rates, there are many downfalls of using credit cards. Apple is trying to change your perception and experience with credit cards. Their interest rates are friendly. Also, the Apple card has tools that aid in making better spending decisions. They ensure you can track your credit card expenses on the mobile app. Apart from securing your privacy, they have a fantastic reward and cash back system. Even though they lack a signup bonus unlike other credit cards, Apple card has daily unlimited cash back. Apple Pay earns a cash reward of two per cent to encourage customers to use Apple Pay. If you buy Apple products online or from merchants, you are eligible to a three per cent cash reward. The products include Apple iPhones, iTunes and other Apple services. Many credit card companies offer bonuses and rewards only to take forever for the bonus to be available for use. With Apple card, you don’t need to wait for weeks for the cash. You get your reward daily. Sounds amazing right? To enjoy daily cash, you need to sign up for apple cash. Apple pay lets you transfer or receive money using the Apple pay debit card. You will also earn your cash back rewards in your Apple cash card every day. However, if you don’t have the Apple cash card, you will still get your bonus. Your monthly statement will indicate your rewards as a credit in your balance. Daily cash rewards are usually unlimited. However, your credit limit will determine the maximum daily reward. How Can You Use the Daily Cash? The daily cash rewards received in your Apple pay debit card have unlimited uses. For instance, you can use it for online purchases through Apple Pay. You can gift your loved ones or transfer them to a personal bank account. Transfer from Apple cash to a bank account is fast and attracts no extra charges. You, however, need to link your bank account to Apple cash. It may take about three days to complete the transaction. For immediate transfer, you may need to pay some service fee. You can get great bonuses if you use your Apple card to pay for purchases. And isn’t it great to get back some of the money you spend? 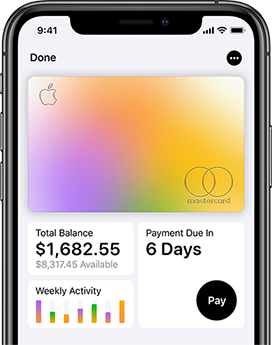 With the Apple card budgeting tool, you can monitor your spending habits and make better purchase decisions. Their debt monitoring tool guides you on a payment plan that will give you favourable interest rates saving you some money.